Christmas time or 圣诞节 (shèngdànjié) is almost upon us. While Christmas in China isn’t quite the same as Christmas at home, China does have plenty to offer in terms of holiday spirit. One of the main things to kick off the holiday season are the Christmas Markets in Beijing. 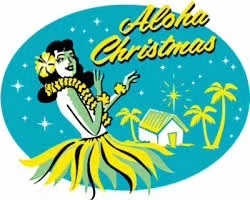 This year Modernista will be hosting the rather unusually themed Rumble Aloha Christmas. For those unfamiliar, every month the ‘Rumble in the Jumble’ market is held in Beijing. Everything from vintage clothing, to books, to jewellery to baked goods are on sale. 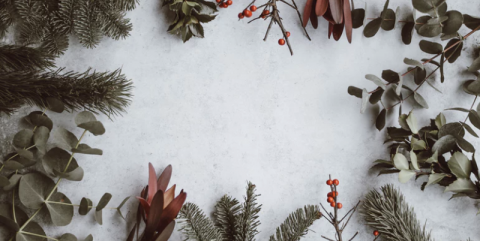 The Christmas edition of this market is definitely not one to be missed, along with the usual vintage and craft merchandise there will be plenty of mulled wine and other festive treats on offer. So throw on that Hawaiian shirt over your Christmas jumper and enjoy the fun! 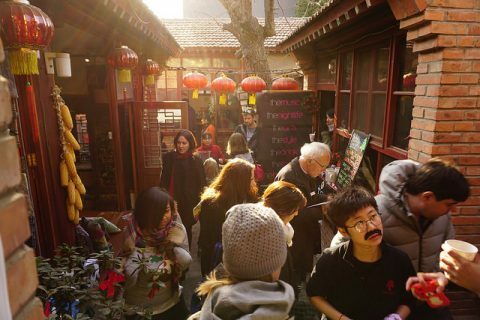 The Hutong Winter Fayre is nestled right in Beijing’s historic hutongs in what was once a traditional courtyard home. A number of vendors will be selling beverages and hot food up on the terrace. Why not enjoy a warm glass of mulled wine whilst looking out over the Beijing rooftops. Or enjoy some winter shopping downstairs with a range of products to choose from such as baked goods and chocolates, jewellery, handicrafts, paintings, homemade jams, decorations and much more. This famous Beijing bookstore in the heart of Sanlitun will be hosting The Bookworm Jolly Christmas Market and Concert. 35 vendors will be selling an array of products such as jewellery, home decor, handicrafts, festive chutney and jam, sweet treats and much more. You will be able to enjoy Happy Hour all day and there will be ample amounts of mulled wine! Acapella group Jing Sing will be performing some Christmas Carols in the evening at 8pm to really get you into the Christmas spirit. Held every year at The Ambassador’s Residence the British Embassy Christmas Bazaar is a must see. The market takes place both inside and out so make sure to wear your thickest winter coat. You can warm up with a glass of mulled wine and some hot food from one of the many food vendors. Besides that you can do a spot of Christmas shopping whilst listening to choirs from the Yew Chung International School and the British Embassy. There will also be a tombola and raffle with all proceeds will go to SOS Children’s Villages, a registered charity dedicated in helping disadvantaged children. The German Charity Christmas Bazaar is one of Being’s largest and most popular Christmas Markets with over 40 stall holders. Expect all of the traditional features of a German Christmas Market with plenty of glühwein, currywurst and steins of beer to be had. You can also shop for Christmas presents, enjoy festive music and try your luck at the raffle. 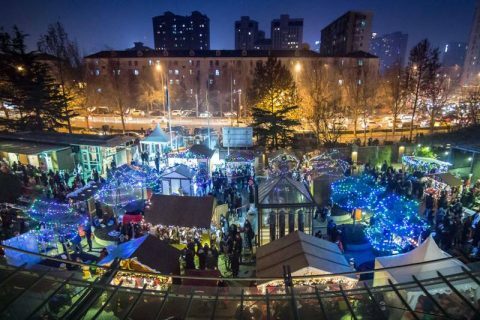 The Polish Christmas Bazaar really shouldn’t be missed as it offers something no other Christmas Market in Beijing does: the chance to meet Santa himself! Hosted at Roundabout’s boutique store you can enjoy mulled wine, hot chocolate, baked goods or countless other treats. You can also browse the array of products on offer which include jewellery, home decor, ceramics and more whilst listening to live music. Have a look at our blog post here for more Winter Fun In Beijing or perhaps you want to take shelter from the cold in one of the Best Hotel Bars in Beijing. Finally from everyone here at LTL Merry Christmas 圣诞快乐 Shèngdàn kuàilè ! 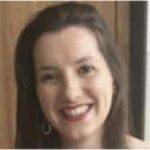 Katie was fascinated by Chinese culture from a young age which led her to study Chinese and History at university. She now works for LTL in Beijing.